I clearly remember the first day we found out that our perfect little girl had an issue with her leg. We were at one of our first few ultrasounds, where they were counting bones, fingers, toes, etc. Abigail, being our first child, we were not very sure exactly what we were looking at, but one thing I will always remember was the look on the technician's face when she realized that Abby had only four toes, and that her foot was turned out to the side. She was not allowed to go into specifics with us, telling us that we would have to speak with a doctor. It was that very moment that we began dreading the worst. We immediately began looking to the internet for all the things that could be wrong, or how to deal with things of this nature. We were scared, to say the least. This was our introduction to the condition known as Fibular Hemimelia. My wife as convinced that amputation was going to give Abby the best chance to function normally, after having been told by a doctor that it was the best solution. We decided to wait until after she was born to make any real plans. Abby was born on November 24, 2006. She was perfect in every way, and we were very proud. Her beauty gave us a moment to forget all about the decisions we would have to face. We were just happy to have our little angel, trusting that everything would just fall into place, and that's exactly what happened. We were sent to see Dr. Todd at Bethesda Naval Medical Center within a very short time after her birth. He calmed us down and told us about this "great doctor" who was doing "great things" in Baltimore, MD. That doctor was Dr. Dror Paley. After pulling many strings and sorting through tons of red tape with military insurance, Dr. Todd got us in to see Dr. Paley within a few weeks of Abby being born. We walked into that office terrified, and then something magical happened. We saw other kids who had similar conditions in the office smiling, playing, and happy. After a bit of a wait, we finally got to see Dr. Paley, and he immediately made us feel better. He spoke of things that he was going to do to make her leg better, treating her condition like it was a common cold. For the first time, we felt better, and certain that we would be with Dr. Paley for years to come. Abby's first surgery took place on June 25, 2008. 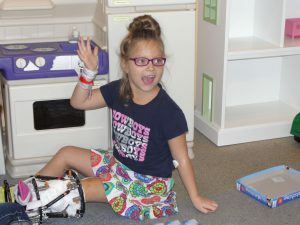 She was fitted with an external fixator, and Dr. Paley had corrected the extreme bowing in her tibia, and reconstructed her ankle so it was no longer turned out to the side. Abby's lengthening lasted from July 1 until September 8. In that time, her bone grew a little over 2 inches. 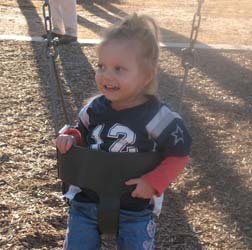 During the lengthening phase, Abby played like any other child, not letting her frame keep her from doing anything. She went to playgrounds, swam in pools, and any other thing that other kids were doing. Unless you were looking at her leg, you'd never know anything was different. The fixator came off December 8, 2008, which was followed by a full leg walking cast. Once she got used to walking in that, she was once again back to her usual, active self. The cast was removed January 5, 2009, and after some physical therapy to strengthen her leg, Abby was walking, running, and playing like any other child. 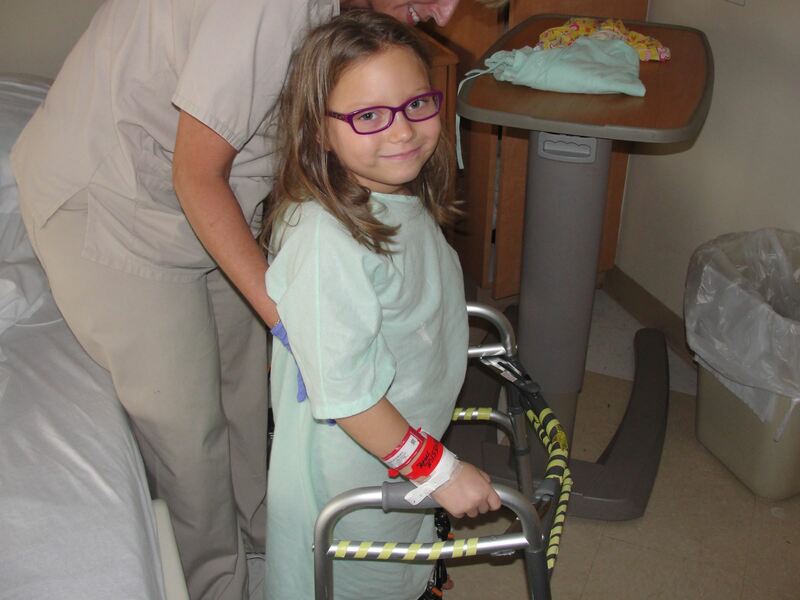 Abby, now 8 years old, had her second procedure on January 9, 2014. This time was a little tougher since Abby was a little older and more aware of what was happening, but things still went pretty smoothly. 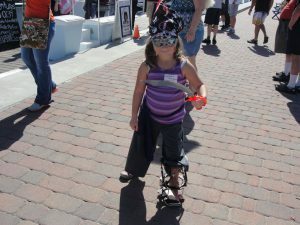 Abby and her mother had to stay down in Florida for closer monitoring, but all the while she still did all the fun things that children do. She played, swam, went to movies, and had tons of fun. She even got the chance to meet and hang out with other patients of Dr. Paley's. There is something soothing and wonderful about being able to speak with other parents and children who are having similar procedures done. The community that Dr. Paley and his team have built is a wonderful collection of kids, parents, doctors, nurses, and other staff, full of wonderful, supportive people. The mere fact that we've followed him from Baltimore to West Palm Beach to make sure Abby is with the best doctor possible speaks volumes. We trust Dr. Paley and his staff, and we are very happy to have been sent to see him. 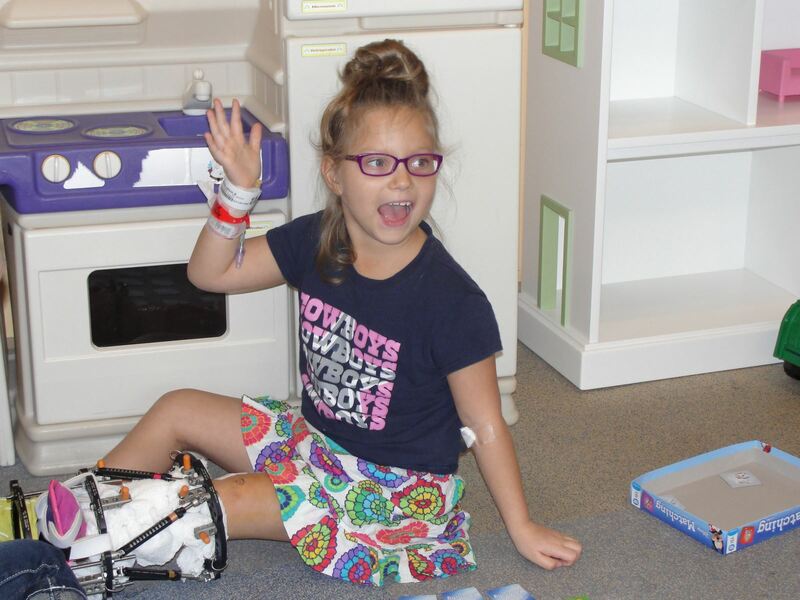 Abby had her second fixator removed October 6, and was once again in a cast until December 15. She is currently going through her physical therapy to get her leg strong again, but she's back in school, back to playing, and almost back to 100%. In fact, she will be starting swim lessons again tomorrow. We know that we have at least one more surgery to go, but unlike those terrified parents we were back in 2006, we are completely comfortable with what's to come. We have Dr. Paley and his wonderful staff to thank for that! Thank you Dr. Paley, for all that you do, and for taking such good care of our little girl. You do so much for so many people, and we really appreciate you and your wonderful staff!